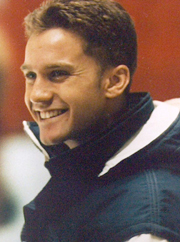 Yale Secondary graduate Bryce Holbech made Canada’s national speed skating team in 1992, and was one of the top skaters in the world for the next four years until an injury ended his competitive career. Holbech won silver and bronze medals at the 1992 North American short track speed skating championships and was recognized three times as the BC Speed Skating Association’s skater of the year. He was a member of the world record-setting Canadian 5000-metre relay team at the 1995 World Short Track Championships in Norway, and followed that with a silver at the 1996 World Championships in The Hague. Bryce also medalled at the World Relay Championships in the Netherlands in 1995 and at Lake Placid, USA in 1996. After retiring from competition, Bryce continued his involvement in speed skating. 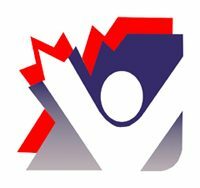 He served as sport manager of short track at the 2010 Vancouver Olympics and as a strength and conditioning coach with US Speed Skating. This former Matsqui Blade represented Abbotsford and Canada admirably throughout his career.